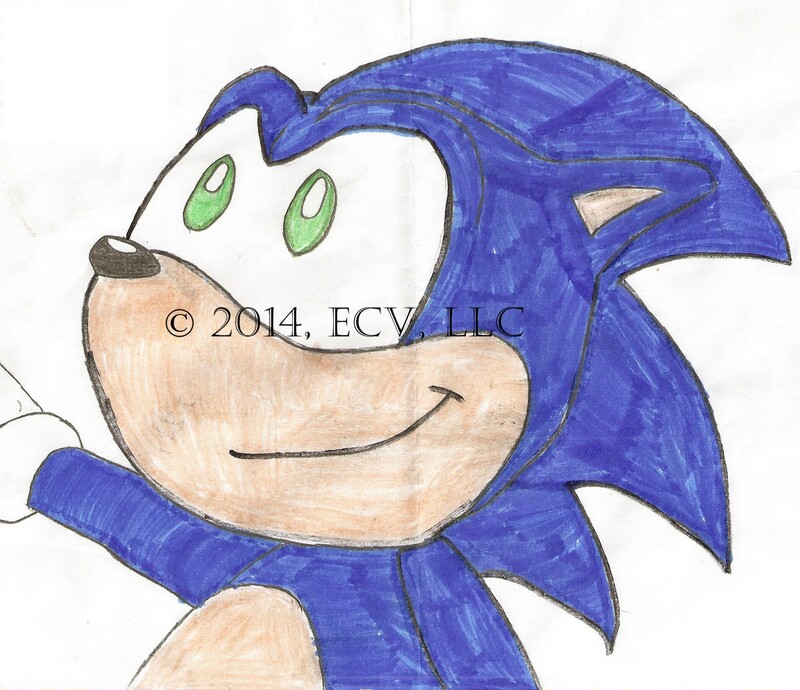 This is another Sonic the Hedgehog inspired drawing from aspiring artist ASP. 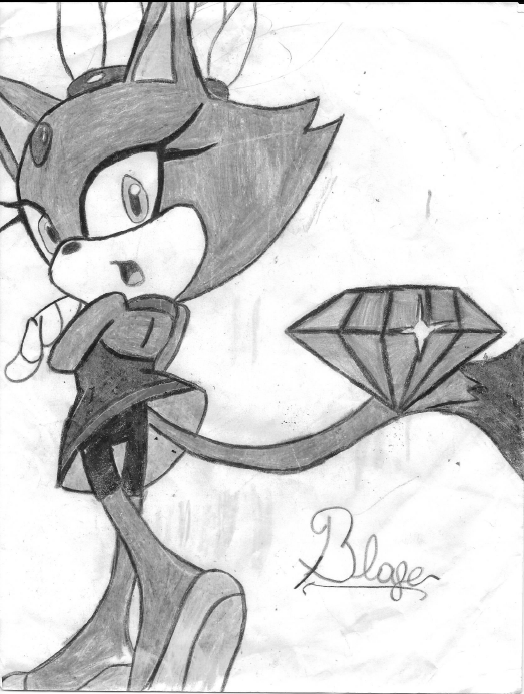 It features two characters named Silver and Blaze. Those familiar with the Sonic Universe likely know more about these characters than I (Ms. ME) do. 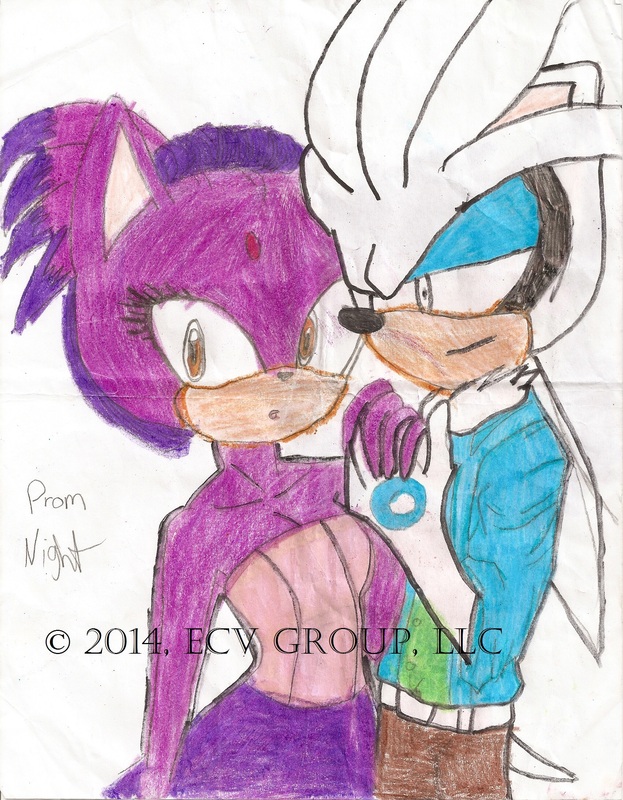 The piece is titled Prom Night. Enjoy and tell us what you think. Currently ASP is working on possible logos, headers and cover page art for ECV so expect to see some options and vote on those in the near future. I’m posting artwork by a young aspiring artist called ASP. She is a huge fan of the trademarked Sega character from the 1990s Sonic the Hedgehog. In the future other artwork by ASP will be available for purchase. Stay tuned!